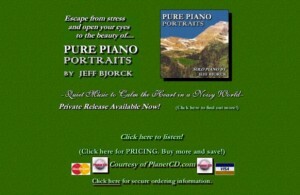 I am delighted to announce the debut of the new Pure Piano website. It was beautifully designed by 5Amultimedia, whom I give my highest recommendations for excellence, customer service, production, and responsiveness. Please enjoy browsing the entire site. There is much to discover, including some old “friends” and many new features. 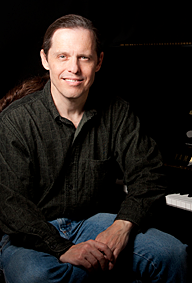 It is hard to believe that Purepiano.com has now been live on the Internet for roughly 15 years, virtually since the World Wide Web began going world-wide. Things have certainly have come a long way since those early days when websites were so much simpler, as the below screen shot of the first Purepiano.com home page clearly shows! Since that time, thousands of visitors each year from around the globe have visited, shopped, or just enjoyed the music. The site featured one CD back then, and this has expanded to a current selection of five, with a sixth on the way. In addition, an ever-growing sheet music library has proved to be a popular highlight for many Pure Piano fans. The new site adds to these popular features. 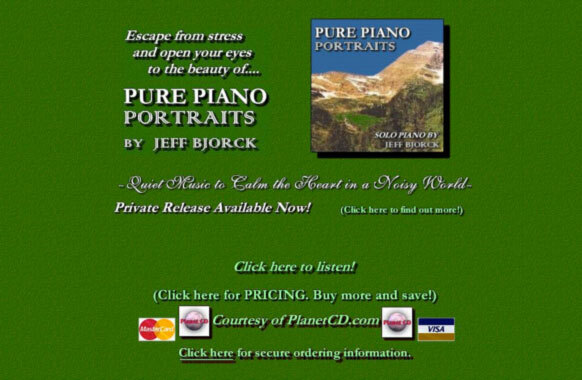 Now, for the first time, every single Pure Piano track is available as an MP3, and the same is true for MP3 albums. I would like to take this opportunity to thank you for your interest in my music. I hope this new website is truly enjoyable and convenient for you. Shoppers will be glad to note that every page of the store is secure (https 256-bit). Purchases are now all possible directly on site, with secure processing of credit card transactions, as well as Paypal for those who still prefer that service. All MP3 downloads are instantly accessible at considerable savings compared to other download sources, and sheet music PDFs are also instant downloads.